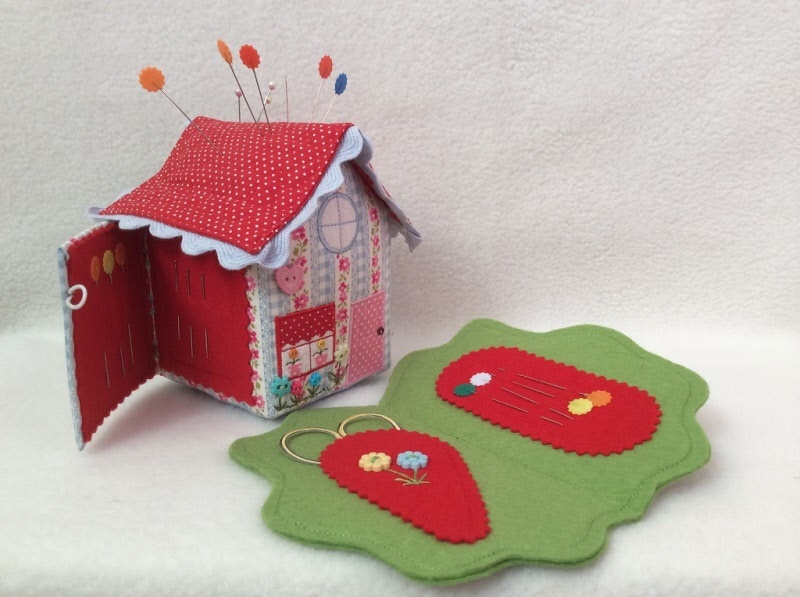 What a dear little house ready to hold your pins with a secret panel to hide your needles and a little garden secretly taking care of your sciccors and needles. Gail Penberthy is fantastic at designing these lovely little three dimensional projects and although probably not for the complete beginner, this can be made with a little patchwork knowledge. The house measure approx five inches tall. You will receive a pack of buttons to embellish your house with too.